I am inspired to Give More to the World Food Program USA (on Twitter: @WFPUSA) with a total donation of $250 to help provide 1,000 meals to school children in the poorest countries. This Day 2 of the Live Below The Line Challenge 2013, gave me a feeling of intense thanks to have my health and strength. I have learned through the years that it's better to give than to receive and in my giving, it will be given back to me. However, in my giving, I do not think about how I will receive my blessing in return because giving should be done with a free heart. In the end, it always works out better that way. I feel that love for others is important for us all to be successful. I am happy to be able to show how much I care and to help so many school children. In this video, I share why and how much impact my donation will have on these little children. Here's where you can help by donating to the World Food Program USA (donations are tax-deductible): https://www.livebelowtheline.com/me/selenab. Selena Thinking Out Loud With Purpose is excited to announce this huge Mother's Day Giveaway! There are so many opportunities to win and the host has been working very hard to get you these amazing brands together, in one place! With 23 brands participating, there will be 23 Winners chosen, one for each prize listed below. There are over $3,000 worth of prizes. How special and cool is that?! Giveaway ends May 12th at 11:59pm EST Open to US residents only. Must be ages 18+. Have Fun! Woo Hoo! To learn more about each prize, click on their links to get their details...Make sure to enter on the Rafflecopter Entry Form below! There will be ONE lucky Mommy Guru winner for each item. There are a lot of ways for you to enter and to gain more entries. How To Enter To enter, please use the Rafflecopter form below. Disclaimer: Selena Thinking Out Loud With Purpose is not responsible for the delivery of prizes. All prizes will be delivery by the brands themselves after each winner is confirmed by the host. This blog was not compensated for the promotion of this giveaway event. No purchase necessary to participate. Must be 18+ to enter giveaway event. Open to US residents only. I hope you're having a great Sunday! It's one day before the Live Below The Line Challenge 2013. I will be living off $1.50 a day of food and drink for 5 days, April 29 - May 3, 2013. Today, I went on my shopping trip and here's my video to share with you. Share this with your family and friends. You never know who would like to help this great cause. What would be on your shopping list if you had $1.50 a day for 5 days? I know it's difficult to see your little ones growing up. Most women I know, wish that they could stay babies, but before you know it, they are just as tall as you. I can only imagine how my niece is going to be five to ten years from now. I can't wait to see it though. With this in mind, Selena Thinking Out Loud With Purpose has teamed up with Mommy Guru, to bring you this Stokke Tripp Trapp Giveaway! This is a must-have, according to moms! It's been going strong on the market for over 40 years and this unique chair takes your child from baby to adult. Giveaway ends May 3rd at 11:59pm EST. Open to US residents only. Must be ages 18+ to enter. Good luck! One (1) Mommy Guru fan will win a Stokke Tripp Trapp! Please use the Rafflecopter Entry Form below. Disclaimer: Selena Thinking Out Loud With Purpose is not responsible for the delivery of the prize. The host will contact the winner for mailing information. This blog was not compensated for the promotion of this giveaway. No purchase necessary. I am just three (3) days away from the Live Below The Line 2013 Challenge, here at Selena Thinking Out Loud With Purpose, to live off $1.50 a day of food and drink for 5 Days. Today, I decided to look through the Live Below the Line Cookbook for ideas on what I could prepare for next week. I'm a very simple eater as is, but I wanted to make sure that I was following the challenge correctly and had my meal plan together. I have my meal plan and shopping list posted below for you. Download and use the Live Below The Line Cookbook for your meal planning and shopping list. Could you live off $1.50 a day? How would life be different, if this was your daily reality? 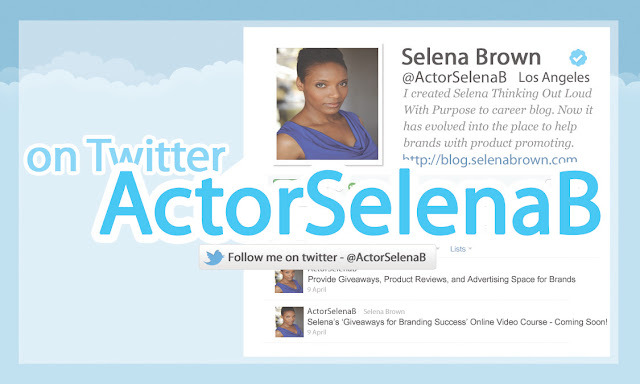 Selena Thinking Out Loud With Purpose will be promoting this blogger giveaway event and my readers will be able to enter in June 2013. Also, if you are a blogger and enjoy promoting giveaways, then this will be a fantastic event for you and your readers as well. Every month, Jenn's Blah Blah Blog and Pink Ninja Media has this giveaway event for one lucky winner to choose any prize they would like up to possibly as much as $500. The bloggers will get one (1) free link in this giveaway -- choose between Pinterest and Twitter. If you would like to sign up your blog, please read all of the information for this event, in details, at Jenn's Blah Blah blog. Are you looking for the perfect baby gift? If so, then you're in for some great finds at Elegant Baby®! Selena Thinking Out Loud With Purpose welcomes this company and their product line of baby gifts for you to explore and get to know. Elegant Baby® products have been featured in People, USA Today, Pregnancy & Newborn, and O: The Oprah Magazine as a top affordable gift! Celebrities moms, Angelina Jolie, Jessica Simpson, and Gwen Stefani, gives their products to their children, but so does everyday moms all across the country. We are happy to announce this Elegant Baby® $50 Gift Card Giveaway. Giveaway ends April 30th at 11:59pm EST Open to US residents only. Must be ages 18+. Their collection of baby products has been expanding and evolving into spectacular designs and colors since 1967. Products ranging from My First Rubber Ducky to My First Baby Bible, My First Baby Blankie, My First Baby Jeans to the iconic silver spoon, Elegant Baby offers a gift idea for any mom. One (1) Mommy Guru fan will win a $50 gift card to Elegant Baby! Please use the Rafflecopter Entry Form below to enter this baby giveaway! Disclaimer: Selena Thinking Out Loud With Purpose is not responsible for the delivery of this prize. This blog has not been compensated for the promotion of this giveaway event. No Purchase Necessary. As an auntie, I only expect the best for my little niece. My sister does too, that's why she makes sure that she eats healthy foods. These days, many parents are doing the same, by providing their babies, homemade baby food. The nutrition that a child receives from good, fresh, homemade baby foods is simply invaluable. That is why, Selena Thinking Out Loud With Purpose supports Sage Spoonfuls simple recipes and their 19-Piece starter kit in this baby giveaway! This giveaway ends April 25th at 11:59pm EST. Open to US residents only. Must be ages 18+. Good Luck! Founder Liza Huber of Sage Spoonfuls provides simple recipes so that you can deliver healthy meals and have happy babies! One (1) Mommy Guru fan will win a Let's Get Started Kit! This 19 piece Let's Get Started Kit includes everything you need to make and store your own fresh, natural homemade baby food with ease! The Sage Spoonfuls immersion blender and food processor allow you to puree up to 2 week’s worth of baby food in just seconds and storing is an easy 1-step process with the Sage Spoonfuls Storage System! - "Sage Spoonfuls-Simple Recipes, Healthy Meals, Happy Babies" by Liza Huber Winner of the 2012 Mom's Best Literary Gold Award! - 12 BPA-free 4 oz Storage Jars - Made in the USA! - 1 Pack of 60 Labels - Made in the USA! - 2 stackable Storage Trays - Made in the USA! BPA free and made of non-toxic materials! Winner of a 2012 Cribsie Award for Best New Arrival! Winner of the Parent Tested Parent Approved Seal! Disclaimer: Selena Thinking Out Loud With Purpose is not responsible for the deliver of this prize. The host will contact the winner for mailing information for prize. This blog was not compensated for the promotion of this giveaway event. No purchase necessary. I've always been interested in strategy-type games, jigsaw puzzles, word find games, and now hidden object games. They really get my mental juices racing when I have writer's block or feel stuck in thought. I happened across Big Fish, who is now one of my affiliate sponsors and I can't help but be addicted to these artistically creative games. The first game I tried for free before I bought it, on my IPhone, was Doors of the Mind: Inner Mysteries. I decided to download it on my IPhone because I'm always out and about and if I'm sitting in a waiting room, I have something to stimulate my mind. This game is also available for your PC or Mac. I realized that I could only download a game to my IPhone, if I had a wireless connection. So, I downloaded this game from home and then I could play it anytime I wanted, thereafter, wherever I went. 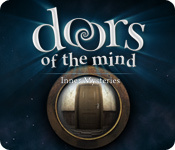 Doors of the Mind: Inner Mysteries, is a hidden object game, with 5 Levels or 5 Days, as they say. Your job is to help a young boy, along with his hired dream specialist, decipher the nightmares he keep having since the death of his father. There were some really spooky moments as you entered some of the rooms so beware if you decide to keep the sound on, in play. The graphics for each room was very detailed and the colors looked great on my IPhone. You could see how much work and thought was put into this game. As you move through the story, you see your progression and how real it feels as you help the young boy gather clues. The hidden objects were sometimes hidden so well, that I had to take a break to let my eyes rest and come back to play later. Since, I'm not a person to use the strategy guides, unless I am seriously stumped, coming back later helps my eyes to readjust. However, if you like to have a strategy guide close by, this game comes with one and a blog walk-through, info here. On my IPhone I had to make sure to zoom in with my fingers to see some of the hidden objects because they could be under or behind other items in rooms. There were also other short challenges within the game itself that you will have to pass, but I do believe you could pass them if you got stumped, if I remember correctly. However, if you do feel frustrated, take a look at the strategy guide or blog walk-through, for a help. As I continued through the young man's story, I unlocked clues as I completed each Day until I found out the reason for his nightmares and the intentions of his father. It will surprise you and keep you wanting more until you solve it. Plus, since I would rather you try the game for yourself, I'll leave the ending for you to discover. 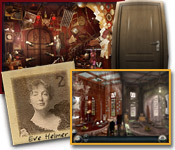 Do you enjoy these types of hidden object games? If so, what's your favorite Big Fish game? Disclaimer: Selena Thinking Out Loud With Purpose is an affiliate with Big Fish Games. All content in this review is 100% my own. The new business acquired from this personal review will be paid to this blog in commissions. This game was tried for free and then purchased by Selena Thinking Out Loud With Purpose and was not given totally for free. All users will have the opportunity to try it for free as well before purchasing the full version with the link provided in review post. Applecheeks and their best in the market Cloth Diapers! How do feel about cloth diapers? Do you use them? If so, you're going to love these. Giveaway ends April 23rd at 11:59pm EST. Open to US. Ages 18+ and up. New advances in textile technology allows for amazingly trim fitting washable diapers that unstuff by themselves in the wash! Gone are the days of bulky plastic pants and saggy, wet bottoms. Pins and Snappis are a thing of the past. AppleCheeks cloth diapers bring you the ultimate in form and function, combining effective leak control with attractive styling. Imagine a dry bottom that actually looks good! Who knew? One (1) lucky Mommy Guru fan will win a little bundle and a storage sac! They also have these fabulous storage sacs, shown above, designed to keep odor and moisture in and preserve a controlled environment for your soiled cloth diapers between washes, our Storage Sacs come in two generous sizes. Please use the Rafflecopter entry form to. Disclaimer: Selena Thinking Out Loud With Purpose is not responsible for the delivery of this prize. This blog was not compensated for the promotion of this giveaway. No purchase necessary. Selena Thinking Out Loud With Purpose welcomes Little-Circus to the blog to celebrate creativity and fun for the little people in our lives. This giveaway has many special prizes, including toys, clothing, and keepsakes from around the world. These prizes will delight children of all ages. The host has sifted through a number of their products to bring you this amazing giveaway. Giveaway ends April 22nd at 11:59pm EST. Open to US residents only. Must be ages 18+. The Adorable Shoshanna Swimsuit. One (1) lucky Mommy Guru fan will win it! It comes in sizes 2t-6 and retails for $70. You can check out their entire collection of unique kids items on their website here! Disclaimer: Selena Thinking Out Loud With Purpose is not responsible for the delivery of this prize. This blog received no compensation for the promotion of this event. No purchase necessary. 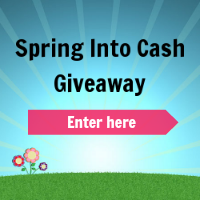 Welcome to the $500 Spring Into Cash Giveaway! Hosted by Giveaway Promote and Promoted by Selena Thinking Out Loud With Purpose. We've teamed up with a great group of bloggers to bring you this amazing giveaway. It's always fun to participate in giveaways that will give my readers the chance to win great gifts. As the economy continues to recover, why not help its progression by giving one lucky winner $500 Cash to do some shopping or whatever they would like! There is a lot of things you could do with this cash. To learn more about this giveaway and to enter on the Rafflecopter form, please see the details below. Good Luck to You! One (1) Lucky person will win $500 cash via PayPal. 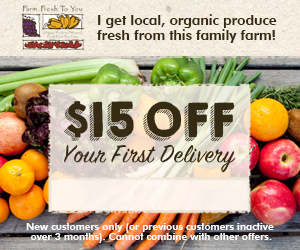 Ends at 11:59pm EST on April 28th, 2013. If you are a blogger, entering this giveaway, we'd love for you to join an awesome group giveaway event like this one! Sign up to be emailed about future events hosted by Giveaway Promote. Disclaimer: Selena Thinking Out Loud With Purpose is not responsible for the deliver of this prize. This blog was not compensated for the promotion of this event. No purchase necessary. Thirty-One Gifts - Organizing Utility #Tote #Giveaway. Open to U.S. Chic is about elegance, classiness, and fabulousness. That's why Selena Thinking Out Loud With Purpose would like to introduce you to Thirty-One gifts. It's the new, chic, way to organize your life! Their totes are multi-use totes and from the list below, you will have plenty of uses for them. I enjoy having access to a nice tote for visits to the beach, shopping at markets for fruit and just storing extra clothes in my car for last minute auditions. Every Thirty-One style was designed with you in mind to make your life a little easier. Whether you’re looking for style, organization, the perfect gift or a little bit of everything, Thirty-One gifts is the place to shop! From totes or purses you can wear while you’re out and about, thermals to help you transport food and drinks to a party, or organizational items to help you keep your house neat and tidy, Thirty-One has a solution! Consultant Missi Leadman will have you believing in styles that fit you perfectly. Take advantage of all the deals and new collections from Missi in her Facebook group here. Please enter on the Rafflecopter entry form provided below. Good Luck! Disclaimer: Selena Thinking Out Loud With Purpose is not responsible for the delivery of prizes. This blog was not compensated for the promotion of this giveaway. No purchase necessary. I can't get enough of social media. It is the quickest and most exciting way to meet new people. I was struck today by the number of people I have met thus far on Twitter, Facebook, Pinterest, and other social networking sites. It is so refreshing, each day, to read their new updates. There are talented and gifted people all over this world, busy working on amazing projects. I do believe, genuinely, that we all are connected in some form or fashion. 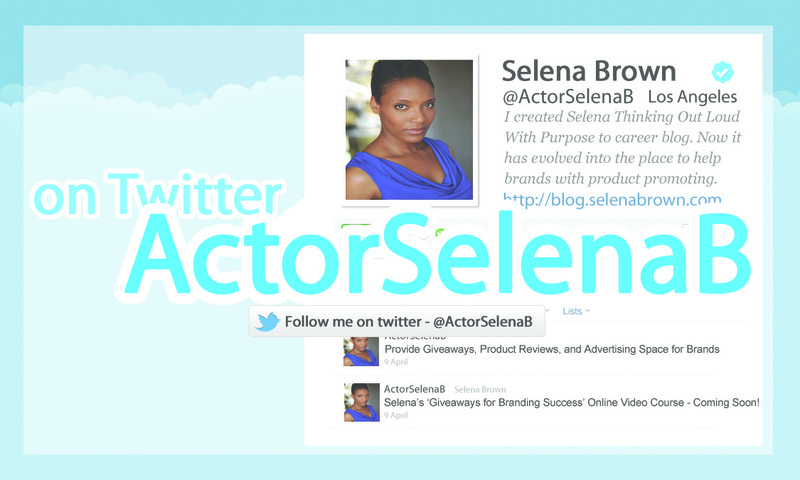 We all have something to share that will ultimately impact an audience. We hold the power to change, transform, or deter mindsets. The connections we make through social media is a new form of lifeline. It IS what keeps us going, to know that someone cares about what we have to say by "retweeting", or "sharing" our messages throughout the day. We begin to feel inspired, empowered, and brave enough, to share even more. I can only imagine what the world would be like without these instant forms of communication. Look how far we have come since the telegram, traditional letter writing, to now, speaking with people beyond our homelands in live video conferencing and Google Hangouts, just to name a few. We are not only people, but people with huge ideas, tough skin, and ambitions that can grow into a better way of living for all mankind. We are gifted and provided the opportunity, each day, to capture our reasons for living and breathing by sharing those ideas and gaining new knowledge from the connections we make through social media. So, why not start using it today!